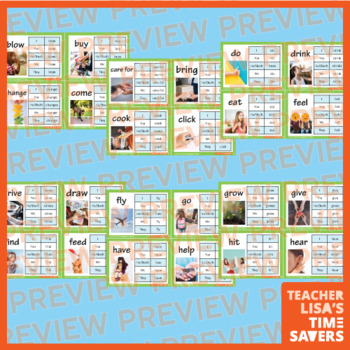 This is a set of flashcards to use when teaching verbs in Level 2. 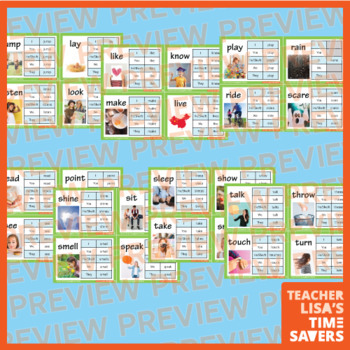 These cards include all the verbs you will teach in Level 2 Regular or Level 2 Interactive courses. 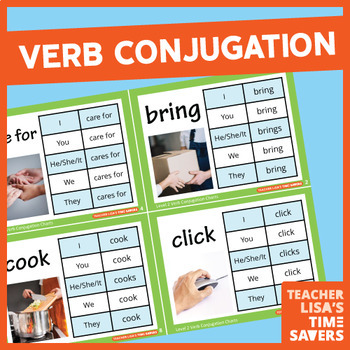 Each card includes a chart showing the verb conjugation for "I, you, we, they, and he/she/it," as well as a photograph to show the verb. There are 59 verbs included! Flashcards can be printed single sided or double sided.